Hilton Bandung !! 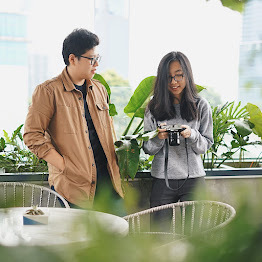 They still and always be my favorite hospitality in Bandung, as their a top-rated hotel with amazing restaurant too, that's why I love them, with all of their facilities they can make every guest comfortable. This is my second visit to Hilton Bandung with foodies friends and yes I feel like falling in love for the first time. I come here because Hilton Bandung held a #CulinaryJourney event ! What is that? Keep reading friends. Culinary Journey showcasing Asia’s top cuisines, three guest chef from our sister hotels in Korea, India, and China, will offer a gastronomical experience of authentic dishes from each of their countries for 3 weeks in a row at Purnawarman Restaurant, Hilton Bandung during dinner time on 11 – 29 March 2015, only for IDR230.000++ person in Culinary Journey food promotion. The guest may tase delicacies such as Korean soy-marinated Bulgogi and Kimchee, Indian briyani and prata, also Chinese dragon prawn with Szechuan crab meat sauce, in addition to our renowned existing dinner buffet of Peking Duck, fresh sushi-sashimi, LaMien hand pulled noodle and more. Korean cuisine is largely based upon rice, vegetables, and meats. Traditional Korean meals are noted for the number of side dishes (banchan) that accompany steam-cooked short grain rice. Following 2014 success, Hilton Bandung welcome back Chef Daniel from Conrad Seoul. Daniel has 8 years of culinary experience in China, Indonesia, and United States, and of course Seoul where Zest, the all-day fine dining restaurant has become a hot spot for attracting gourmets. Indian cuisine encompasses a wide variety of regional cuisines native to India. Chef Ashok from Hilton Garden Inn Trivandrum, Kerala in South India is an experienced and well-seasoned chef who will bring the taste of India cuisine to Purnawarman Restaurant. Chinese cuisine is widely seen as representing one of the richest and most diverse culinary heritages in the world. Hilton Bandung brings Chef David from Hilton Shanghai to serve the authentic flavours from Shanghai from his roots, where he began his culinary career. To merrier the event, Hilton Bandung also invites Chef Denny Gunawan on 21 March 2015 for charity cooking class with the kids and 22 March 2015 for cooking demo and private dinner. Chef Denny is the runner up of Indonesia television cooking show on 2013 and as top three finalist of Asian Food Channel in Philippines in 2014. The guest may enjoy join the cooking class for IDR115.000nett per person and experience the private dinner for IDR399.000++ per person. So I feel so lucky invited to this event, a one stop culinary journey at Hilton Bandung, they really concentrate into food, they often hold an foodie event. So I went here with some of my foodies friends from #JKTfoodies, Julia and Marius (anakjajan.com) , Cindy and June (lulabyspoon.blogspot.com) , Tere (heytheresia.com) , Aline (aline-aline-aline.blogspot.com) and some media from YukMakan.com and Foodie Magazine. We have a full-of-food day ! But we really enjoy it, actually I just wanna share my #CulinaryJourney experience here, so they held this event at Purnawarman Restaurant, they're a main restaurant here and of course the biggest here. The menu for #CulinaryJourney dinner were likely the same as usual dinner but they add another station, Korean Station !!! Personally I love Korean Food and they have quite many variants of Korean Food like Sujeonggwa Kimbab, Kimchi, Ggo Mak Muchim, Dak Gom Tang, Bibimbap, Bulgogi, Galbi Jjim, and freshly made Seafood Pajeon by Chef Daniel Chong ! I love all that Korean taste, even Chef Daniel said they can't find all the ingredients they usually used at Conrad Seoul, but he try this best to serve his authentic Korean Dish. We can start the Culinary Journey with Gyeongdan , basically this is a Korean rice cake, in Indonesia we usually call it as Onde-Onde , taste also quite similar because they also combined with nuts and sesame, chewy for the texture of rice itself and crunchy yet aromatic from the nuts and sesame, they covered by white sesame and also black sesame, nom nom ! Another Korean punch, but this is mainly from Cinnamon, contain a quite strong herbs aroma from the cinnamon and also sweet, it's sweet and cold in mouth but there's also warm sensation. Another authentic Korean dish made from rice, taste sweet and quite chewy, I guess it's from glutinous rice, in Chinese cuisine maybe we usually call it Lo Ma Kai, but taste more sweet and rich and then served with nut also to give some crunchy texture in it. the BANCHAN !! Korean side dishes that we usually find in Korean restaurant, to start the meal they always served us with this kind of food, banchan is actually Korean pickles, that's why overall the taste is sweet and sour, and the sourness is more dominating. Let's say the main banchan is Kimchi , the longer you keep the kimchi the better taste is, the sourness will grow up to the top beside that usual kimchi made from cabbage, #CulinaryJourney also have Ggo Mak Muchim , ark shell with soy, I like it ! 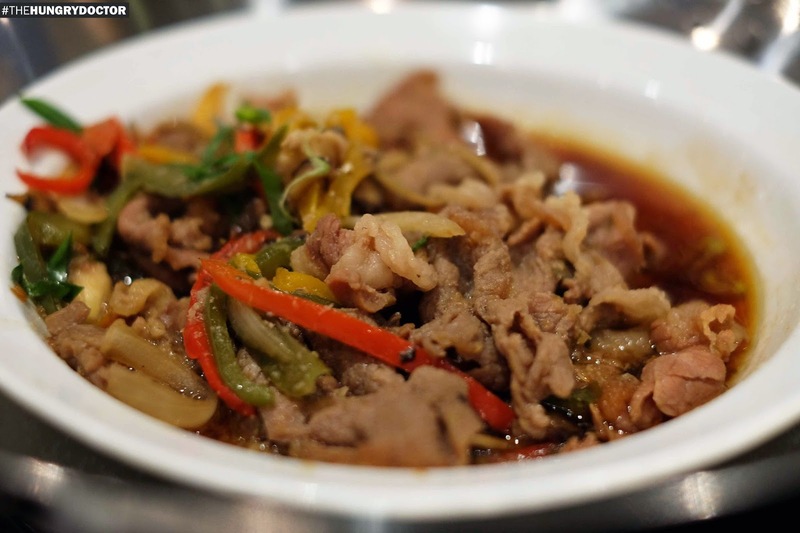 One of my favorite Korean dish is Japchae, this a fried glass-noodle with vegetables, beef and also seafood, they used to use thicker glass-noodle, but Chef Daniel said he can't find it at Bandung, so they use our glass-noodle. Don't worry, the taste is still the same, delicious though ! A great korean food and also the famous one, usually it served for personal portion and we mix it by ourself in other Korean restaurant, but here at #CulinaryJourney Hilton Bandung, they already mixed together with all the meat, vegetables and also the sauce because it served in buffet version, taste? Of course good !! It's a korean sushi ! I like kimbab better than sushi, I don't know why but I find they're fresher and the taste was lighter. One of the most famous Korean food, I think all of you already knew Bulgogi, a grilled beef with special marination sauce, but here their bulgogi is cooked slowly with the sauce, there're some type of bulgogi, but all of them are delicious, I like it, they also used the beef with some fat, and that's make it more delicious and textury. MY FAVORITE DISH along the #CulinaryJourney !!! Braised Short Ribs !! The ribs was so so so tender ! Taste also great, the sweetness and savory mixed well together, the carrot and potato also beautifully cooked, I won't forget the taste easily, super delicious ! And the last is Pajeon !! Freshly made pajeon by Chef Daniel, I like it so much, not oily and taste good, even only contains of vegetables but I enjoy it so much and what make it more delicious is the way the cook it fresh from the pan, so it always hot when you enjoy it. After that you can enjoy a dessert station, it's just a heaven for a dessert lovers from cake into ice cream all the sweet stuffs to close the #CulinaryJourney dinner ! So my readers, if you want to enjoy this Culinary Journey, go before 29 March 2015 and ride the culinary experience with Hilton Bandung !